The First Responders Foundation is a nonprofit on a mission to enhance public safety in our community by providing resources to police officers and firefighters and to show appreciation for their dedicated service. This becomes critical when you consider everything they have accomplished, including the life-saving equipment they have donated to the police and fire departments, community programs they have launched, and many ways they show appreciation to the first responders who put their lives on the line for ours. 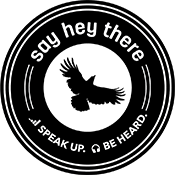 In the summer of 2014, the First Responders Foundation partnered with Say Hey There to help create, publish, manage, and analyze their content across all mediums. Since then we have helped the foundation stay on-brand, maintain a leading online presence, and inspire community engagement. Scroll through this page to check out all the ways we’ve helped the foundation grow! At the beginning of our relationship, the foundation’s most pressing need was a modern look and feel. One of the first steps we took was to replace the old fundraising and marketing materials with a branded kit that not only featured beautiful design, but could also tell a compelling story to prospective supporters. The new packet includes a branded folder design (complete with business card insert), an introductory letter covering the history and mission of the foundation, an insert detailing the foundation’s core programs, and an infographic highlighting the numbers, facts, and figures behind the foundation. Today we continue to design flyers, letterhead, fact sheets, postcards, infographics and other collateral for the foundation. Another step was updating social media to have a modern look and feel, implement the newest features, and launch an ongoing editorial calendar for Facebook, Twitter, and Instagram. Today we continue to maintain the website to keep everything updated and working as it should and ensure the content is relevant and fresh. After we polished our upgraded online look, feel, and function, it was time to look into taking engagement to the next level as it relates to the foundation’s mission. Video is one of the best ways to express goals and emotionally connect people to the heart of a nonprofit’s mission. More and more online content is being replaced with video every day, and it’s a great way to show people what you do, versus telling them. For the First Responders Foundation, we produced two videos. The first was an “about us” video to depict who we are, what we do, and position our cause, programs, and efforts in a way that would evoke emotion and compel support. The second video was a shortened version of the first and focused on promoting the foundation’s membership program. With this great new presence and all this great new material, it was time to focus on getting the word out. At the time, the foundation had collected a substantial amount of email addresses from various events, but they hadn’t yet been organized and compiled into one place. We gathered the email addresses from the foundation, organized them into different groups and lists of people we would want to send messages to (e.g. the Board of Directors, Donors, Members), and created a free MailChimp account that would serve as the database to house the emails. In addition, we designed an branded email template and got to work on creating messages. Not only are we now regularly communicating with our biggest advocates, but we’re also doing it in a professional, analytics-driven way that promotes our nonprofit’s great work. Yay! Now we’re out there shouting our mission from the rooftops, and our foundation has seen so much growth since the summer of 2014. One of the next steps we took was super fun. The foundation purchased a community service vehicle to help the Omaha Fire Department transport equipment around town, and we decided to wrap it in a fun, fire-friendly design. We made the van look like a fire truck (much cooler), complete with flashing lights, ladder, and a dalmatian. The vehicle is so fun, we are going to use it in the future for parades and other community events! Omaha Gives! is a 24-hour online giving event organized by the Omaha Community Foundation to grow philanthropy and inspire the community to come together to contribute as many charitable dollars as possible within the allotted time to support the work of local nonprofit organizations. There are extra incentives organized by the Omaha Community Foundation that are awarded to the nonprofits who raise the most funds, making each donation go further. Each year we plan and launch a 45-day digital marketing campaign promoting the fundraising event, including website, email, and social promotions. Our goal is to increase participation awareness and compel people to give. Content typically involves inspirational quotes from the public about first responders, vibrant graphics on foundation facts and figures, sharing real stories about how police officers and firefighters are bettering our community, and sharing our videos. In 2015, our individual donors increased 514% over 2014 and total funds increased 56%. In 2016 we raised more than $25,000. One of our early goals with the First Responders Foundation was to streamline their inventory of merchandise. We helped vet local print shops, move scattered products to one vendor, launch an online store, and design a new fleet of on-brand products. The online store matches the skin of the foundation’s own website, gives us the capability to have flash sales, and offers pick-up and delivery options. The products we have designed and are able to sell online include t-shirts, decals, collectable coins, and fundraising tees. Approximately one year ago, our foundation solicited a number of web design companies to provide a complete marketing strategy designed around our new logo with an emphasis on re-designing our website. After meeting with multiple companies, we felt Say Hey There best addressed our needs.